Relative newcomers to the net casino scene, Leo Vegas claim to run Europe’s fastest and most user friendly mobile casino. In a short space of time they have won a a string of awards from the likes of ICE Totally Gaming, EGR and IGA adding merit to their claim. Group parent Leo Vegas AB is headquartered in Sweden and listed on the Nasdaq Stockholm exchange in 2018 (ticker LEO). The group has grown exponentially in recent years; both organically from the operation of an exceptional online casino, as well as through acquisition (eg the 2017 purchase of Royal Panda). Leo Vegas hold multiple online operator licenses. They are licensed by Malta’s MGA, the UK Gambling Commission for British players and were among the first operators to receive approval from the Swedish regulator to participate that market from 2019 and beyond. 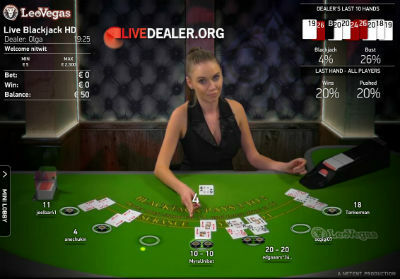 Mobile is clearly a focus, but take nothing away from what they bring to the table in the live dealer space. 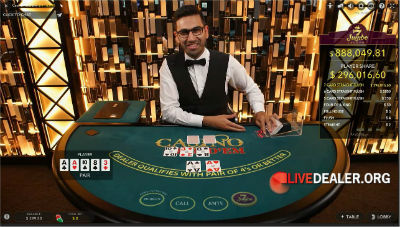 They offer an extensive range of games, tables, and dealers from seven different providers: Evolution Gaming, Net Entertainment, Extreme Live Gaming, Portomaso/Wirex, Authentic Gaming, Ezugi and Lucky Streak Live. At Leo Vegas you can play studio tables or in-casino tables, all via either PC or mobile device. 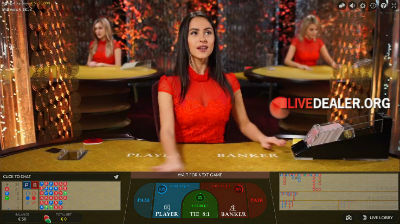 The full range of Evolution’s new baccarat tables are on offer, including live baccarat with squeeze , Speed Baccarat, No Commission Baccarat. Straight Banker, Player, Tie bets and pairs side bets offered. All 7 seat, dealt from an 8 deck shoe with Blackjack paying 3:2. They also offer Double Ball Roulette. 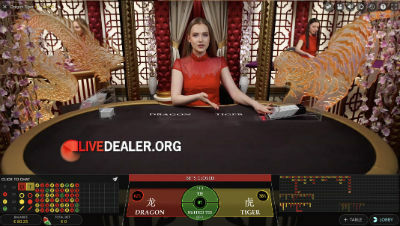 Introduced March 2018…Evolution´s live dealer Dragon Tiger. Card to Dragon, card to Tiger, highest wins and pays even money. 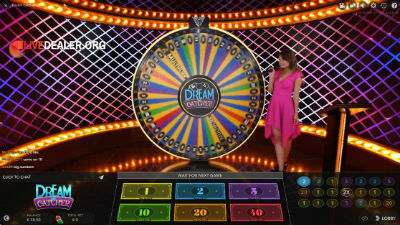 Evolution Gaming’s Dreamcatcher…live big money wheel. 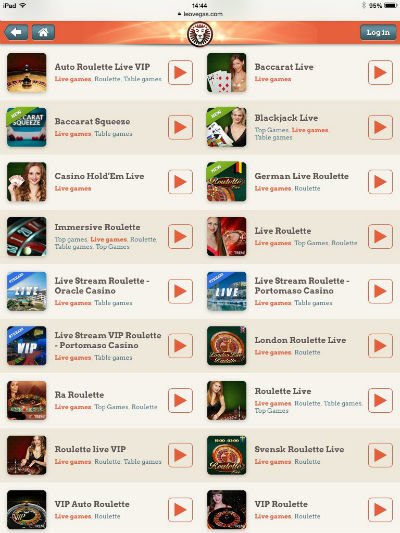 Read more about mobile live games here and about some recent enhancements to Leo Vegas’ mobile live casino here. 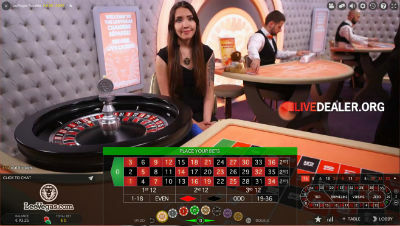 Roulette live streamed from the floor of the Oracle Casino in Malta. You are playing the same table that patrons inside the casino are playing. 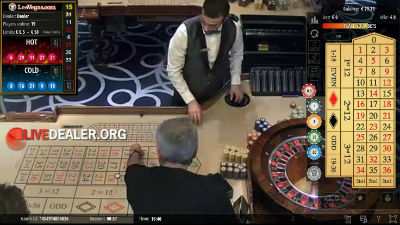 Roulette live streamed from the floor of the Portomaso Casino in Malta. You are playing the same table that patrons inside the casino are playing. Common Draw blackjack, also referred to as ‘1 to many’ blackjack. A single deal caters to many players. 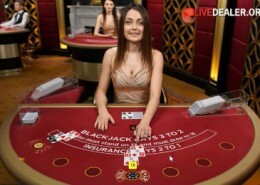 European or French live roulette tables, as well as a VIP table (pictured) and an auto ball launch table to choose from. Standard bets and payouts apply. For both, pairs and Big/Small side bets are offered. 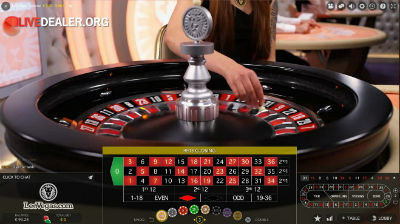 The European Roulette table comes with a number of different interfaces. 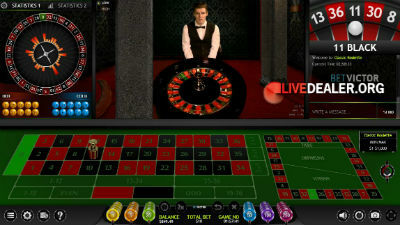 For all, standard European Roulette bets and payouts are offered, plus different side bet games. 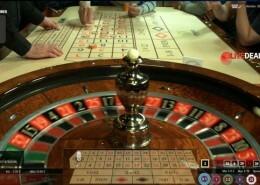 There’s also Admiral Roulette, which is a roulette table on the gaming floor of the Admiral Casino in Malta. 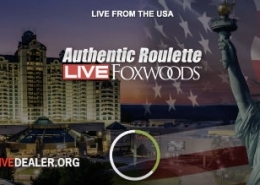 Extreme Live Roulette may be played on Android and iOS devices at LeoVegas.